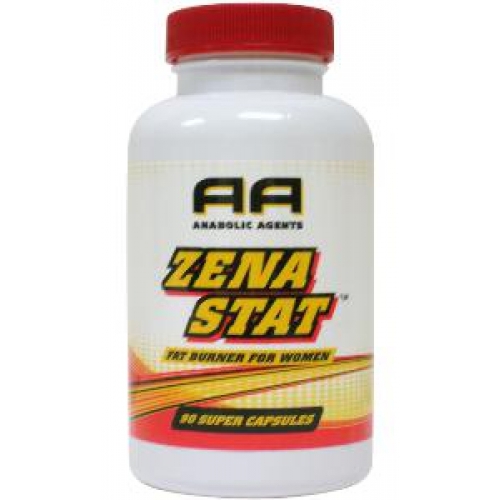 Zenastat Promotes Healthy Metabolic Functions and has advanced Lipotropics. 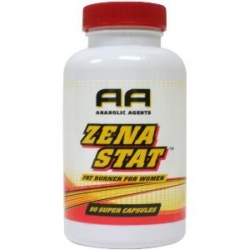 This fat-loss aid is specially designed for women and provides key nutrients to help optimize fat metabolism and promote healthy liver function. For those who want calorie burn with a caffeine boost. ZenaStat contains Green Tea L-Theanine and Caffeine. Other Ingredients: Silica Magnesium Stearate Gelatin. Take 1 capsule 3 times per day with 8 ounces of water. Do not take less than 4 hours prior to bedtime. This product should be used in conjunction with a well balanced diet and exercise program. Please consult with a physician before beginning any nutritional program. Before using product seek advice from a health care practitioner if you are unaware of your current health condition or have any pre-existing medical condition including but not limited to: high or low blood pressure cardiac arrhythmia stroke heart liver or thyroid disease anxiety depression seizure disorder psychiatric disease diabetes pernicious anemia difficulty urinating due to prostate enlargement or if you are taking an MAO inhibitor or any other medication. Do not use if you are pregnant nursing prone to dehydration or exposed to excessive heat. Reduce or discontinue use if sleeplessness tremors dizziness nervousness headaches or heart palpitations occur. This product is only intended to be consumed by healthy male adults 18 years of age and older.